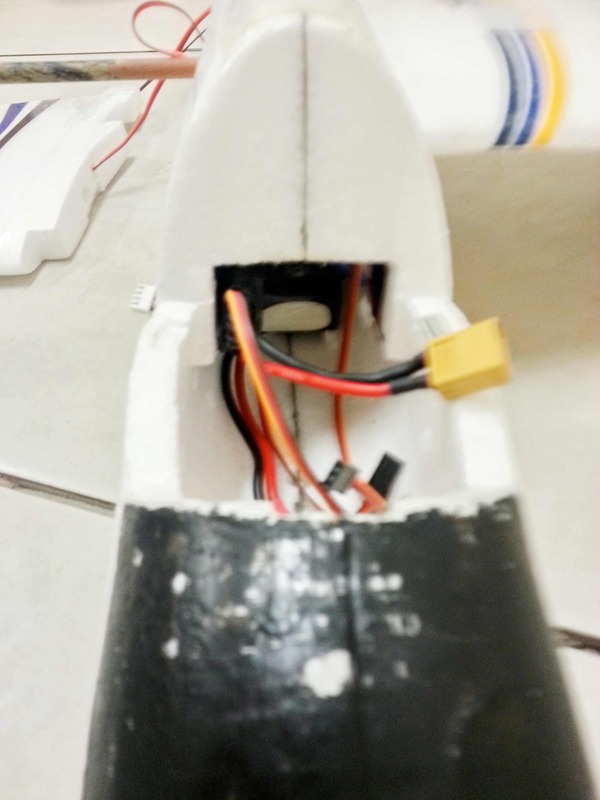 the problem was that the "guardian" wasn't correctly attached plus semi-repair carbon rod that i broke a week earlier. 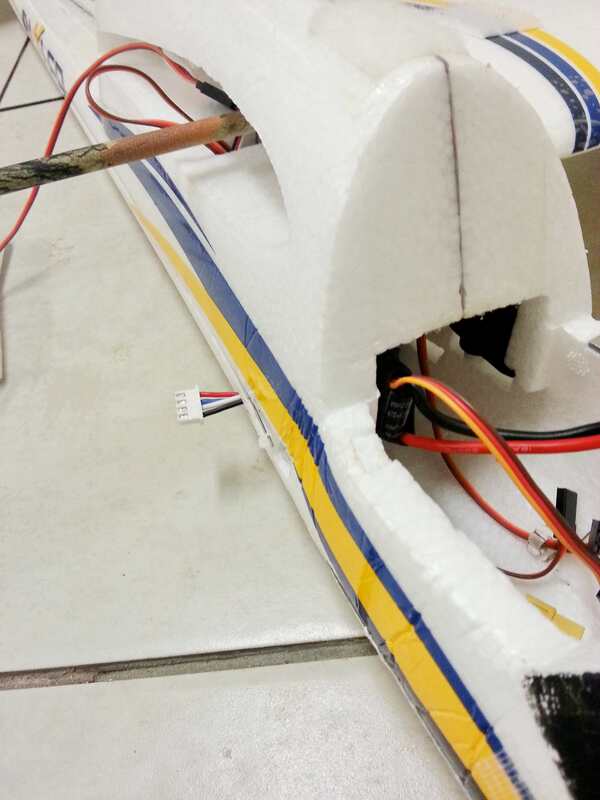 Are you really using an 20 amps esc??? I used an 30 amps esc with the standard motor. Really nice place to fly fpv, nice timed with the nice colored sun. thanks! i will try to keep my best. my mistake; indeed is a 30A w/BEC that i took from my stinger 64 from hk. and thanks. 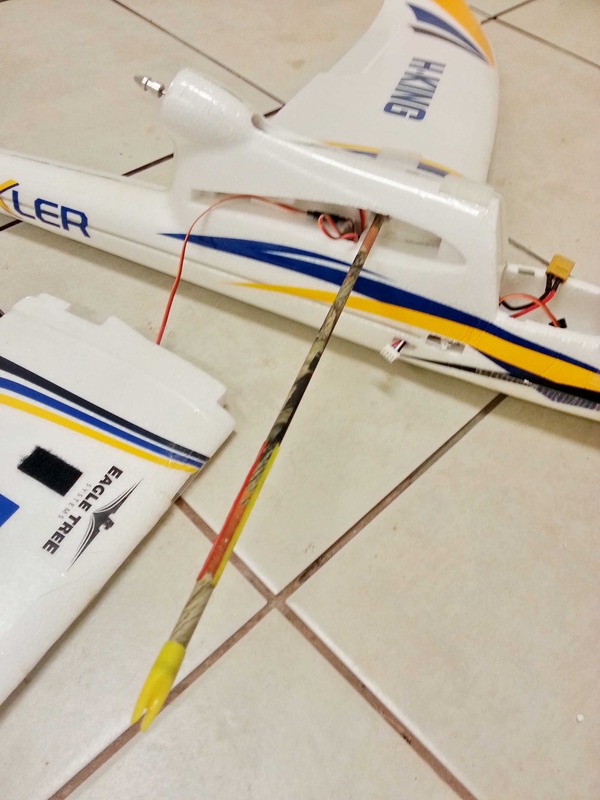 probably i will try another flight today, but only after i finish the repair(change the carbon rod(broke), with an arrow that bought from walmart; and let me tell you that is the same size but the arrow is a lot stronger). It's just me beeing filmed from the ground. 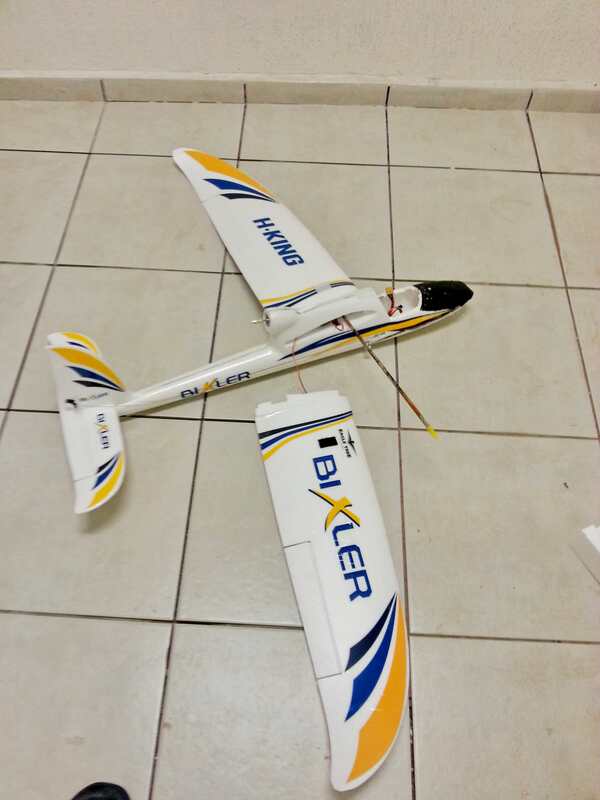 Don't have a gopro on the bixler, hope some time my friend will let me borrow it But I will upload the ground footage. I knew it turned out great by the title of your post... but I was still nervous for you. Great job!!! thanks Chad every thing is ok and is alredy fix. you should appear in the next video. i also miss David. its verh useful the "flite tips"
well, this is the repair i made; also i put the battery at the center for more space for batts/receiver/osd/etc.. and eliminate the balance-weight that come in the stock-bixler. i left the balance port outside, so i could charge it easier(already order some extra-lead). Carlos, congratz with the FPV maiden ! Should be an easy repair I guess. no glue just the rod that it was already broken from another flight before this, i even use doubleside tape(scotch) for the union of the plane(its an ARF), becouse i saw the video in flite test about the glue, so i was afraid of some melting, but its strong like a horse. then i start using hot glue.... its like david said, "is the nectar of gods"
thanks Mark; and the hell i was!! you can bet that i almost need an extra underware when i lost video signal, the rain was comming i couldnt see it becouse the tall of the grass... i was jumping like a rabit in a greyhound racing. From what material is the rod that you are using?